More and more states are shifting towards co-parenting versus children having one primary residence and seeing the other parent only every other weekend; once a very ingrained part conventional America. The research supports this shift, indicating that children benefit from not only having an involved mother, but a father who is active in their life as well. As discussed in a recent Washington Post article, legislators in more than 20 states—including Florida—have considered legislation over this past year to not only encourage shared parenting, but in some instances, make it a legal presumption, even when parents do not agree on it. While Florida has long referred to “child custody” as time sharing to reflect a public policy that children should have frequent and continuous contact with both parents, the Florida legislature also overwhelmingly approved a bill last year that would presume time for child custody plans. However, it was eventually vetoed by the governor. It is important to note that, absent any legislation passed making a 50/50 split mandatory, courts always have and still will value the best interests of the child above all other concerns. 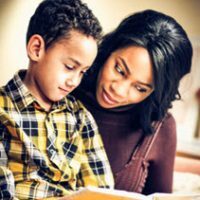 In that endeavor, some have expressed concerns that legislation making 50/50 splits mandatory could end up enabling abusive parents to spend more time with their children and/or take discretion away from a judge when it is desperately needed in order to reflect what’s best for the child. There is also some concern that the legislation is redundant, as more and more divorcing parents are choosing shared custody anyway and that, in addition, this type of legislation could negatively affect child support payments, which have traditionally been helpful to the parent who may be paid less in the workforce (and thus needs the support in order to help take care of the child) precisely because they’ve been doing most of the unpaid labor at home. Visit our website to learn more about what a parenting plan must contain in order to be approved by a court. If you live in Florida and need assistance drafting a time sharing arrangement that best meets your and your child’s needs, speak with one of our Florida timesharing attorneys at Arwani Law Firm today. With an office based in Orlando, we are able to serve clients from all over the state, and work with both mothers and fathers to find the best workable solution for our clients and their families.